This is a large barb originally from India. We’ve had this barb for several years. My records don’t show exactly when or from whom we got them. Regardless of the source, they’ve proven to be reliable spawners. Also, we’ve found they are perfect for African cichlid tanks. They are not overly aggressive, but easily hold their own with even larger cichlids. Our breeders reach about 9” with females and males the same length while the females are much heavier. We breed these barbs the same way we breed most barbs and tetras. The males and females are separated for at least a week. Both sexes are fed heavily. 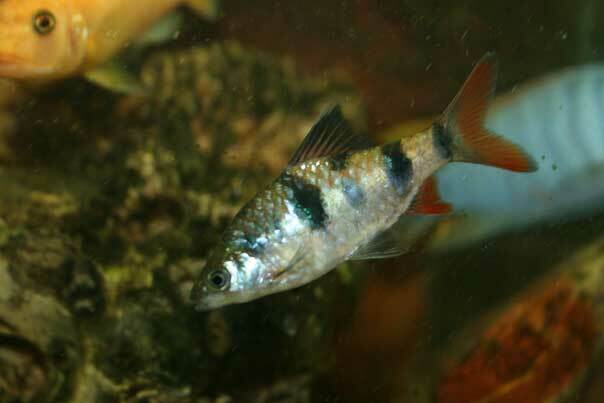 When the females are nice and plump, we move both sexes to a 55 gallon vat stocked heavily with Najas (guppy) grass. They are moved late evening and left until about noon the next day. The fish tend to spawn at first light in the morning. The adults are removed and the eggs left to hatch, which happens in about 5 days. The fry are very small and are fed greenwater, microworms, and fry powder. Growth is rapid and the fish reach sexual maturity in about six months at 3”. By a year, they are 7-8”. The photos show two young adults, male and female, each about 4” long. The male has started growing his distinctive elongated dorsal fin rays. These two fish are in a 300 gallon tank with African and New World cichlids. They spawn daily in floating hornwort in the tank.
. My oscar ruled the roost against all coerms african or otherwise and even killed some expensive and so called very aggressive africans as large as he was. Oscars and most south americans live with pirahnas who have very large teeth. Putting a single pirahna for example the Dempseys and terrors and oscars will kill the pirahna of exhaustion for running for its life. Blicks, Your comment got misplaced. Sorry for the tardy reply. We have a few very large Oscars in our greenhouse sumps where they’ve been living since 2003. They hold their own against large (three feet long) Pangasius hypophthalmus catfish. 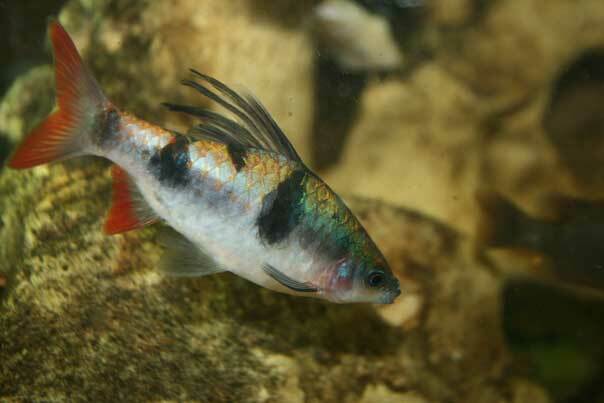 There are also hundreds of feral African cichlids and other new world cichlids in the sump. No one bothers the Oscars. By the way, I had the last piranha permitted for hobbyists in Texas.